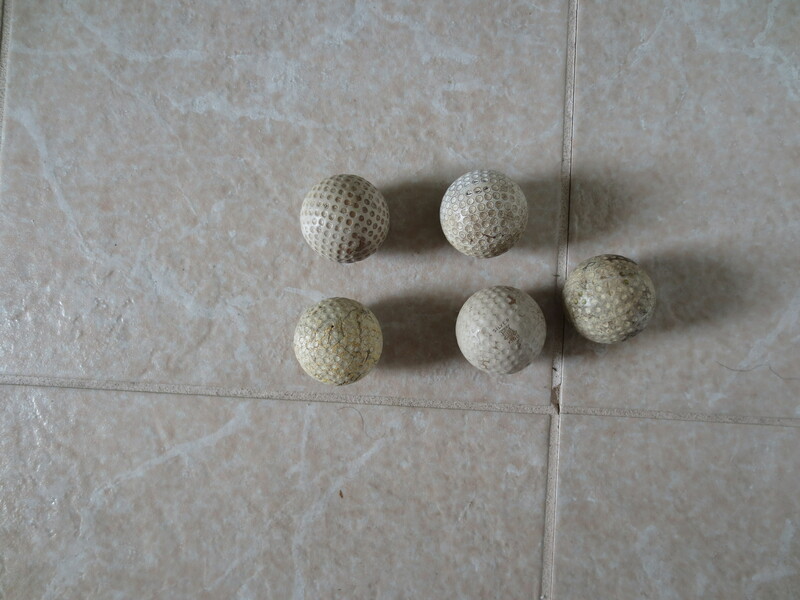 What we have here are five golf balls from the 1920's and 1930's. They are made by Spalding, Victor, and Silver King. Interesting.